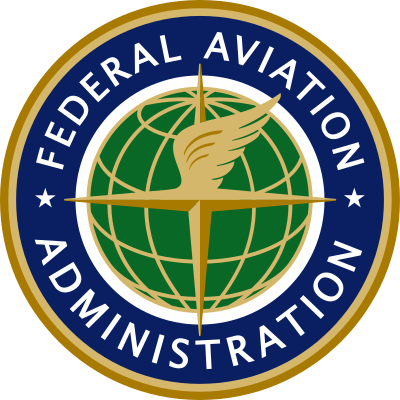 Federal Aviation Administration (FAA) of the United States is a national authority with powers to regulate all aspects of civil aviation. These include the construction and operation of airports, air traffic management, the certification of personnel and aircraft, and the protection of U.S. assets during the launch or re-entry of commercial space vehicles. Organizations The FAA is divided into four "lines of business" (LOB). Each LOB has a specific role within the FAA. Radar Approach Control Facilities (TRACONs). See also Airway Operational Support. Aviation Safety (AVS) — Responsible for aeronautical certification of personnel and aircraft, including pilots, airlines, and mechanics. Commercial Space Transportation (AST) — ensures protection of U.S. assets during the launch or reentry of commercial space vehicles. The Bahamas (sovereign countries, where the FAA provides high-altitude ATC service). The blue regions are where the U.S. provides oceanic ATC services over international waters (Hawaii, some US island territories, & some small, foreign island nations/territories are included in this region). 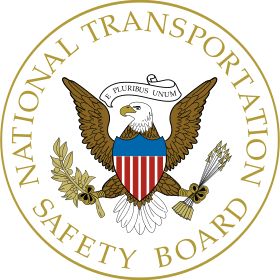 National Transportation Safety Board took over the Civil Aeronautics Board's (CAB) role of investigating and determining the causes of transportation accidents and making recommendations to the secretary of transportation. CAB was merged into DOT with its responsibilities limited to the regulation of commercial airline routes and fares. The FAA gradually assumed additional functions. The hijacking epidemic of the 1960s had already brought the agency into the field of civil aviation security. 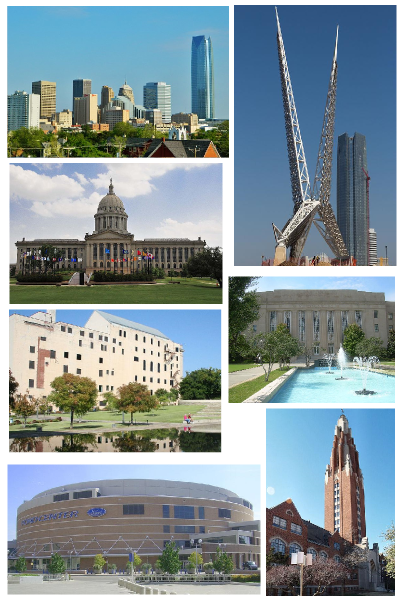 In response to the hijackings on September 11, 2001, this responsibility is now primarily taken by the Department of Homeland Security. The FAA became more involved with the environmental aspects of aviation in 1968 when it received the power to set aircraft noise standards. Legislation in 1970 gave the agency management of a new airport aid program and certain added responsibilities for airport safety. During the 1960s and 1970s, the FAA also started to regulate high altitude (over 500 feet) kite and balloon flying. FAA process Designated Engineering Representative A Designated Engineering Representative (DER) is an engineer who is appointed to act on behalf of a company or as an independent consultant (IC). Company DERs act on behalf of their employer and may only approve, or recommend the FAA approves, technical data produced by this company. Consultant DERs are appointed to act as independent DERs to approve, or recommend the FAA approves, technical data produced by any person or organization. Designated Airworthiness Representative (DAR) Main article: Designated Airworthiness Representative A DAR is an individual appointed in accordance with 14 CFR 183.33 who may perform examination, inspection, and testing services necessary to the issuance of certificates. There are two types of DARs: manufacturing, and maintenance. a mechanic's certificate with an airframe and powerplant rating under 14 CFR part 65, Certification: Airmen Other Than Flight Crewmembers, or a repairman certificate and be employed at a repair station certificated under 14 CFR part 145, or an air carrier operating certificate holder with an FAA-approved continuous airworthiness program, and must meet the qualification requirements of FAA Order 8100.8, Chapter 14. Air Traffic Organization Official website. ^ FAA looking to see if airlines made safety repairs. ^ Dwight Silverman (October 7, 2013). "If the FAA changes its electronics rules, you can thank a reporter". Houston Chronicle. ^ . ^ "At last! FAA green lights gadgets on planes". Fox News. Retrieved October 31, 2013. 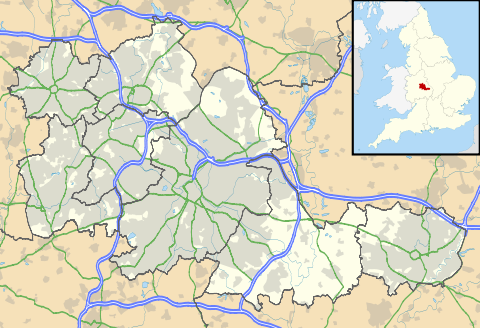 ^ "British Airways CEO insists flights over Iraq are safe". The UK News. Retrieved August 2, 2014. ^ "FAA reauthorization signed into law: Travel Weekly". www.travelweekly.com. Retrieved March 8, 2017. ^ Carey, Susan; Pasztor, Andy (July 13, 2016). "Senate Passes FAA Reauthorization Bill". Wall Street Journal. ISSN 0099-9660. Retrieved March 8, 2017. ^ https://www.congress.gov/bill/114th-congress/house-bill/4441/all-info ^ "Congress, Trump Administration Must Prioritize Air Traffic Control Reform". Competitive Enterprise Institute. December 12, 2016. Retrieved March 8, 2017. ^ "Congressional Hearings on FAA Reauthorization and Automated Vehicles; FTA Withholds Funding from DC, MD, VA for Missing WMATA Safety Oversight Deadline". The National Law Review. Retrieved March 8, 2017. ^ Steven M. Davidoff, The Government’s Elite and Regulatory Capture, The New York Times (June 11, 2010). 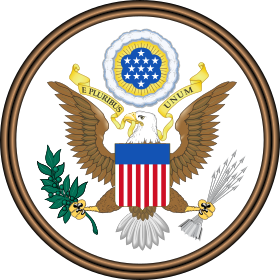 ^ Library of Congress, Thomas Official Website Bill Summary & Status 110th Congress (2007–2008) H.R.6493 ^ Library of Congress, Thomas Official Website Bill Summary & Status 110th Congress (2007–2008) S.3440 ^ "FAA will stop calling airlines 'customers'" Reuters, USA Today (September 18, 2009). Retrieved October 17, 2009 ^ Shapiro, Adam; Browne, Pamela (May 20, 2015). "Trouble in the Skies". Fox Business. Retrieved January 3, 2016. ^ Reily, Jason L. (June 2, 2015). "Affirmative Action Lands in the Air Traffic Control Tower". The Wall Street Journal. Retrieved January 3, 2016. ^ "Unqualified air traffic control candidates cheating to pass FAA exams?". Fox Business. May 20, 2015. Retrieved January 3, 2016. ^ Shapiro, Adam (December 30, 2015). "Reverse Discrimination Suit Filed Against FAA, Hiring Fallout Continues". Fox Business. Retrieved January 3, 2016. ^ a b Air Progress: 76. August 1989. Missing or empty title= (help) ^ Lynch, Kerry (January 8, 2018). "Dan Elwell Takes Helm of FAA as Huerta Departs". ^ Designated Engineering Representative (DER). ^ " Designated Airworthiness Representative (DAR)". LibriVox (public domain audiobooks) Official FAA Record of the Acquisition Management System: FAA Acquisition System Toolset (FAST) "Administrator's fact book" (PDF). FAA. December 2017.